There is much speculation among economists and others about how close we are to the bottom of the collapse of housing prices. This is, of course, an important question, and goes to the heart of the wisdom or folly of the proposed $700 billion government bailout of financial markets, which is a consequence of their own profligate lending practices. You would think that the experts would look at history. 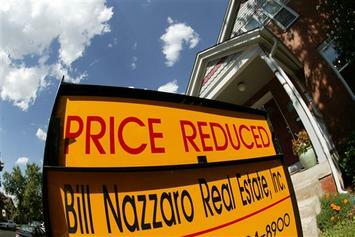 We have decades of experience with housing prices. Indeed, for at least the past six decades, median house prices have tended to be around three times an area’s median household income. It bears looking at where house prices are today compared to that standard. And looking at it from the perspective, we may have a long way to go. As late as 1999, there was only one major metropolitan market among the top 100 with a median multiple (median house price divided by median household income) exceeding 5.0 (Honolulu), according to data compiled by the John F. Kennedy School of Government at Harvard University. The national median multiple was less than 3.0. By 2006, 23 markets, all highly regulated, had median multiples of more than 5.0. Last week, we estimated that the aggregate value of the owned housing stock in the nation had risen nearly $5.3 trillion since 2000. Approximately 85 percent of that figure – $4.5 trillion – had occurred in metropolitan markets with severe land use regulations (strategies often called “smart growth”). These areas accounted for only 30 percent of the nation’s population. The large, more traditionally regulated markets experienced an estimated value increase approximately $200 billion, while outside the major metropolitan markets, the increase was approximately $500 billion. If you accept this logic we may not be close to the bottom yet in many markets. Based upon an analysis of housing price declines from the peak, it appears that the losses in the highly restricted markets have taken back between one-third and, at most one-half, of the unprecedented house price increases relative to incomes. If the economists and analysts had been paying attention, they might have looked at what happened in the last bubble, in bubble-land itself, California. From the middle 1980s to the housing bubble of the early 1990s, median house prices rose nearly 40 percent relative to household incomes in California’s largest markets (Los Angeles, San Francisco, Riverside-San Bernardino, San Diego and Sacramento metropolitan areas). By 1996, after a particularly deep recession in the early 1990s, the median house prices had declined to their previous household income relationship. Yet there the bubble of the 2000s dwarfs what happened in the 1990s, a decline set off by a severe economic decline, particularly in Southern California. In the latest run-up California house prices doubled relative to household incomes in the five largest California markets by 2007. In effect the present bubble topped out at about a 2.5 times increase from pre-existing prices relative to the previous bubble. In 1985, the median multiple in these Golden State markets was 3.7, not much above the historic norm. By 1990 the median multiple had peaked at 5.3 and fell to 3.9 by 1996, rising to 4.2 by 1999. By September of 2007, the median multiple in these markets had risen to 9.1, far above the 1990 peak of 5.3. It is not inconceivable that history will repeat itself – that prices will fall to the equilibrium level that has been the rule for so long. That would mean that the bottom may not yet be in sight. Moreover, it could well mean that the house prices reached at the peak of the bubble will never return except in another bubble, or in a hyper-inflating economy (another potential consequence worthy of concern). In the next few weeks there will be no shortage of speculation about whether or not the bottom has been reached. Before house prices began to collapse in the highly regulated markets, many analysts gleefully reported on the unprecedented house price increases as if could continue without relation to the economy. The law of gravity appeared to have been repealed. But my guess is Newton is still a very relevant person. If so, we should expect additional price decreases of 30 percent or more could occur in already declining markets such as Los Angeles, San Diego, Washington, D.C. and Miami. Similar declines from now could take occur in places like New York, Boston and Seattle, which have only recently experienced a downturn in prices. Of course, it is always possible that smart growth regulation in these markets might have created a new floor that prevents prices from falling to historic norms. That would be good news for the owners of real estate – largely older and Anglo – in these areas. On the other hand, it would be disastrous news for millions of households and the next generation, many of them younger and minority, who will now have to remain on the sidelines of the housing markets of their choice. For many the choice may be moving to one of those places – like Indianapolis, Dallas-Fort Worth or Kansas City, Houston or Atlanta – where the opportunity to own a home still will exist for those without trust funds and elite occupations.